NEXT! 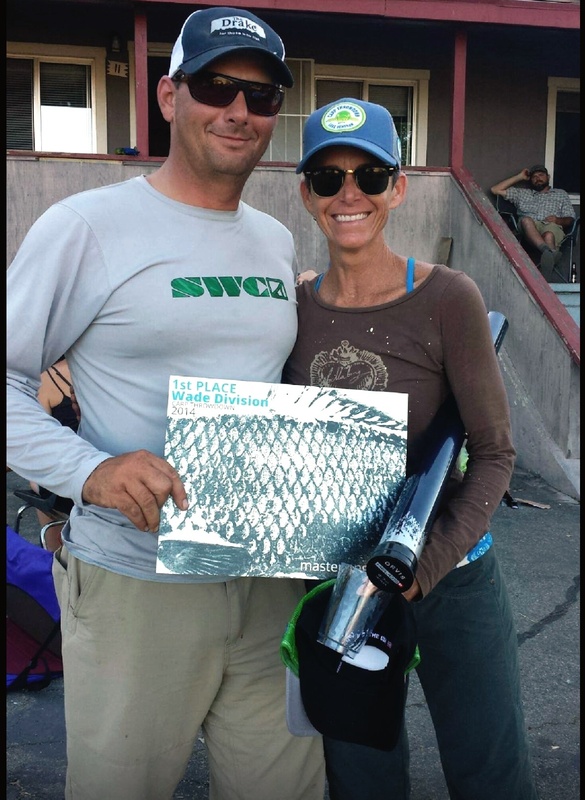 Two-time Carp Throw Down champ David Wratchford congratulates this year’s winner in the wading division, Amy Barder McMahon. San Diego’s third annual Carp Throw Down is in the books with the team of John Hendrickson and Dustin Sergent snagging both first place in the boat division, as well as most fish caught, with three carp and two catfish. Difficult fishing conditions made for little top-water action, but Amy McMahon made the best of it, to take first place in the wading division with a 23-inch carp, dethroning two-time wading division champ David Wratchford. Prizes are listed at: http://www.theflystop.com/blog, and you can check out other happenings at The Fly Shop, http://www.theflystop.com/san-diego-fly-fishing-guide-shop-charter.